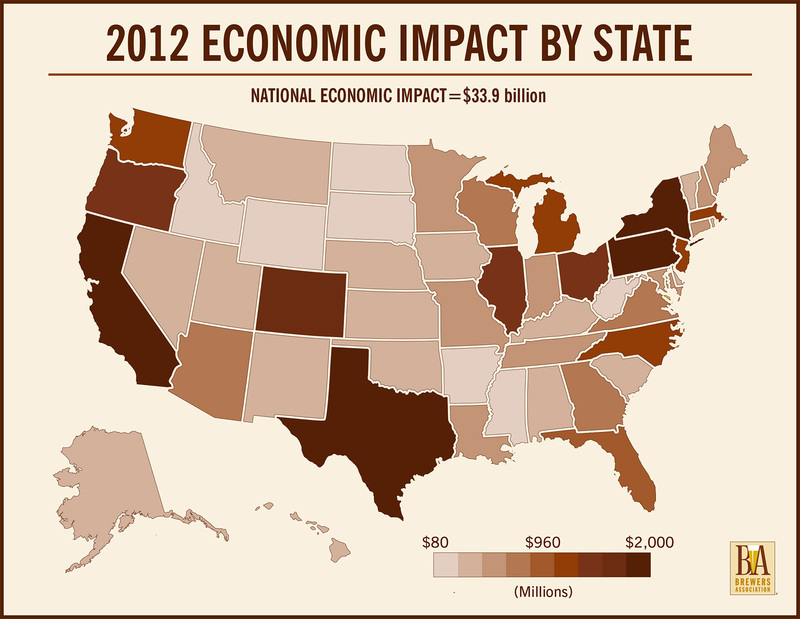 Boulder, CO • December 16, 2013—According to a new analysis by the Brewers Association (BA)—the not-for-profit trade association that represents the majority of U.S. breweries—small and independent American craft brewers contributed $33.9 billion to the U.S. economy in 2012. 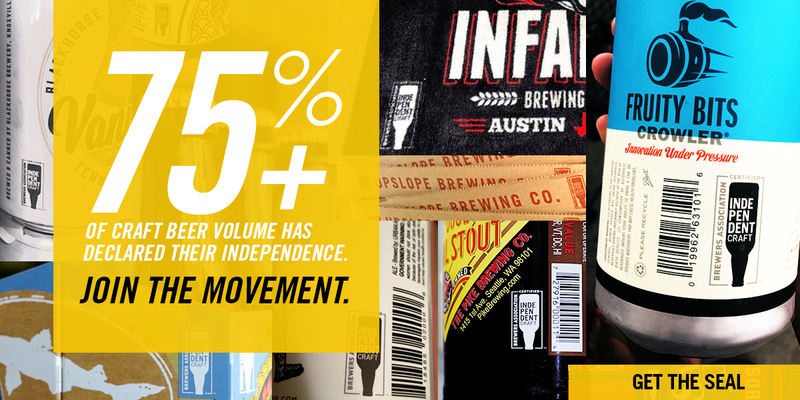 The figure is derived from the total impact of beer brewed by craft brewers as it moves through the three-tier system (breweries, wholesalers and retailers), as well as all non-beer products that brewpub restaurants sell. 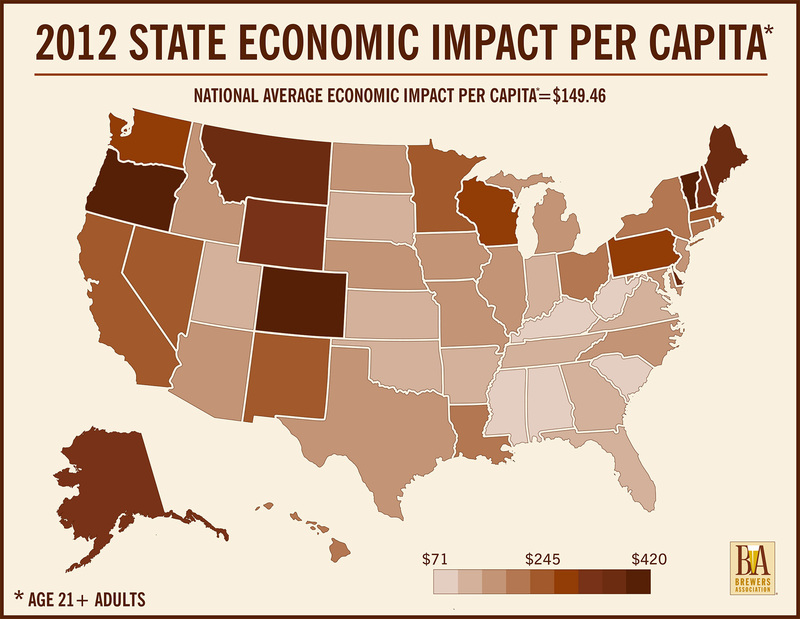 In addition to the national impact, the BA examined output of the craft brewing industry by state, as well as the state economic contribution per capita for adults over 21. For some or all of 2012, 2,347 craft breweries operated in the U.S., comprised of 1,132 brewpubs, 1,118 microbreweries and 97 regional craft breweries. During this timeframe, craft brewers sold an estimated 13,235,917 barrels of beer, with a retail dollar value estimated at $11.9 billion*. 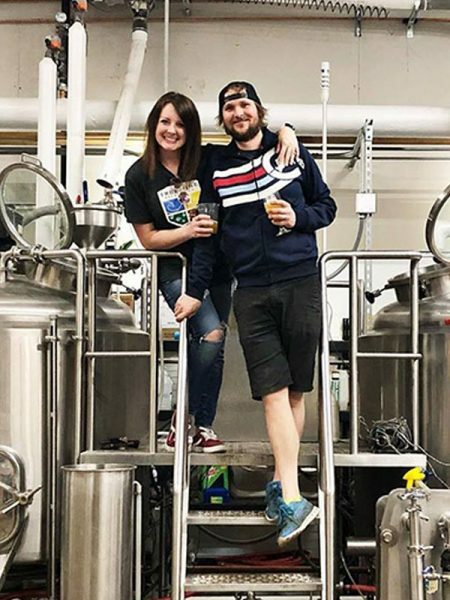 The industry also provided more than 360,000 jobs, with 108,440 jobs directly at breweries and brewpubs, including serving staff at brewpubs. For additional study statistics and methodology, including state-by-state data, see the economic impact page on the Brewers Association website. For a broader set of facts and figures about the craft brewing industry, see the craft brewing statistics section of the website. *Figure updated from previous estimations based on new data.